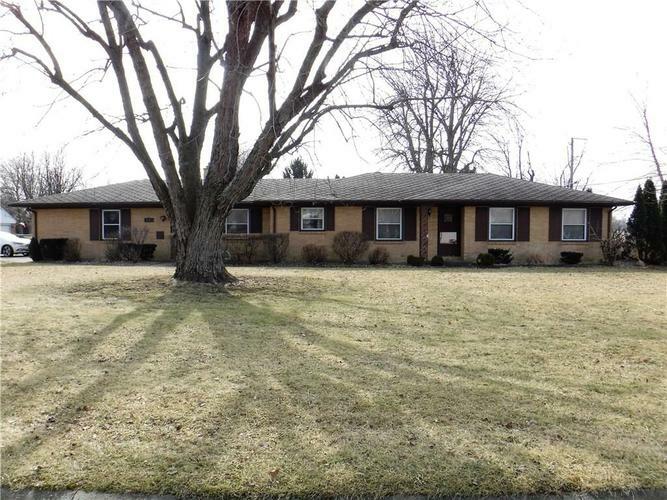 This beautiful brick ranch home sits on a little under a half acre on a corner lot in South Edgewood. French doors from the entryway foyer leads to a very spacious Living Room that could also be used a den or large office. Elegant Dining Room opens into the Kitchen with white cabinets, granite counter tops, and appliances that will stay with the home. When you are ready to relax for the day, the Family Room gives a warm welcome with fireplace and built in book case. Home has 3 bedrooms and one half bath, and Master Bedroom has his and her closets. Back yard is fenced with an open patio, and the home has a two-car attached garage with storage and work space. New gas water heater. Home includes a home warranty. Directions:32 West on Nichold Avenue to Edgewood Drive, turn South to Tulip Street, turn west on Tulip to home.